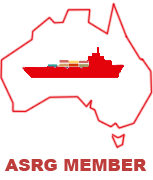 Arcolec Pty Ltd | Ship Supplier and Chandler based Sydney, Australia. Whether they are a cruise liner or a cargo ship, supplier partners around the world are always there to bring to the visiting port the required supplies. Our “Marinesales©” division specialises in obtaining this particular need, from a difficult main engine part to a bouquet of roses, at the right price and at the required time. Although based in Sydney, distribution covers other Australian leading Ports through a network of Partners and Colleagues. Marinesales© is the one stop shop for your ship chandlery needs.